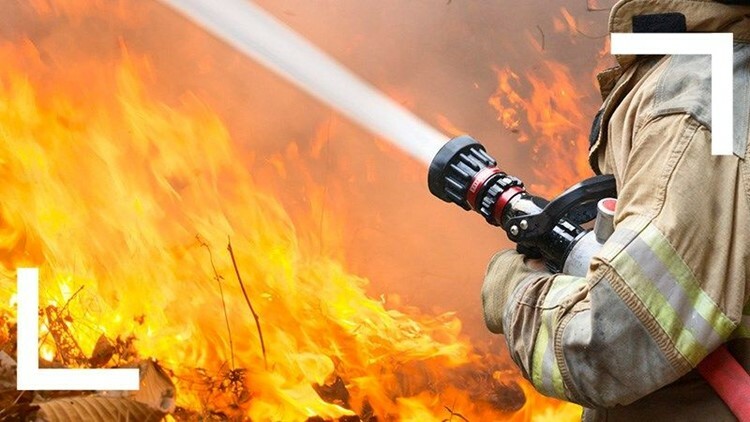 Firefighters are at the scene of a three-to-five-acre wildfire near Wilson Rd at Rancho Feliz Road, in Warner Springs, according to Cal Fire San Diego. RANCHITA (CNS) - A wildfire that blackened about 25 rural open acres in northeastern San Diego County over the weekend was 100 percent contained Tuesday, authorities reported. Target shooters accidentally ignited the blaze near Wilson and Montezuma Valley roads in Ranchita, a rural community southeast of Warner Springs, about 1 p.m. Sunday, according to CalFire. Ground and airborne personnel fighting the flames amid hot and dry conditions had the spread of the fire halted within about three hours, said Kendal Bortisser, a spokesman for the state agency. The blaze, dubbed the Wilson Fire, posed no structural threats and caused no reported injuries. No open flame remained in the area as of Monday afternoon, though crews continued dousing hot spots throughout the day, according to Bortisser. On Monday night, it was completely contained.